Here’s a good one that will take a lot of guesswork out of your next purchase. Rugs and carpet are made from a variety of materials, and not all of them may be right for you. Here are some of the most popular materials and their properties, so that you can make a better informed decision when buying your next floor covering! If you have a pile of money to spend (and, I mean, who doesn’t nowadays??) SILK is the most luxurious rug you can buy. It feels, well, like silk! Walking barefoot on one of these babies is an experience that would be a treat each and every day. It’s durable and naturally flame resistant. Better weavers can custom-make an area rug in countless colors and patterns. Prices start at around $100 per square foot, so that adds up pretty quickly. But, if we’re talking about what’s best, this is it. Wool is also a very high-end choice for carpets or rugs. 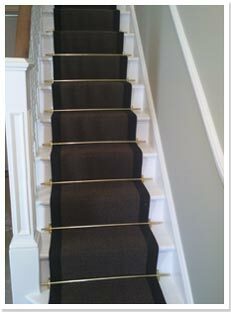 Better wools feel great to the touch, are naturally stain resistant, flame retardant and are very durable. This is a very good choice for most uses around the home. Wool can be dyed to just about any color, and comes in styles from traditional Persians to very contemporary. Again, price can add up, but in this case, you really do get what you pay for. 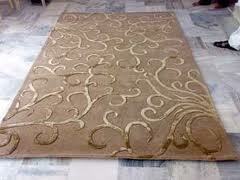 Flokati rugs are made of wool, and are a very interesting variation. 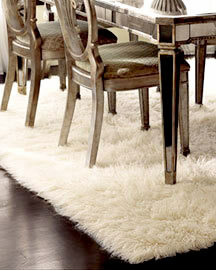 They are handmade shag rugs with long piles, and are a fun choice to add texture to a room. The natural color is off-white, but are commercially available in a couple dozen colors. They can be rectangular or round, and are a somewhat more economical choice. Vacuuming can be a chore, as with all shags, so take that into consideration when purchasing. Sisal is a natural material made from dried woven banana leaves. It is very bold and adds a lot of texture to your floors. Thicknesses can range from only 1/4″ to an inch. 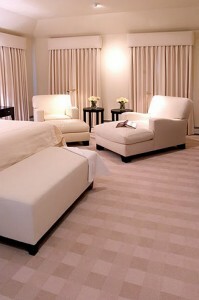 Area rugs can be bound in a variety of colors. 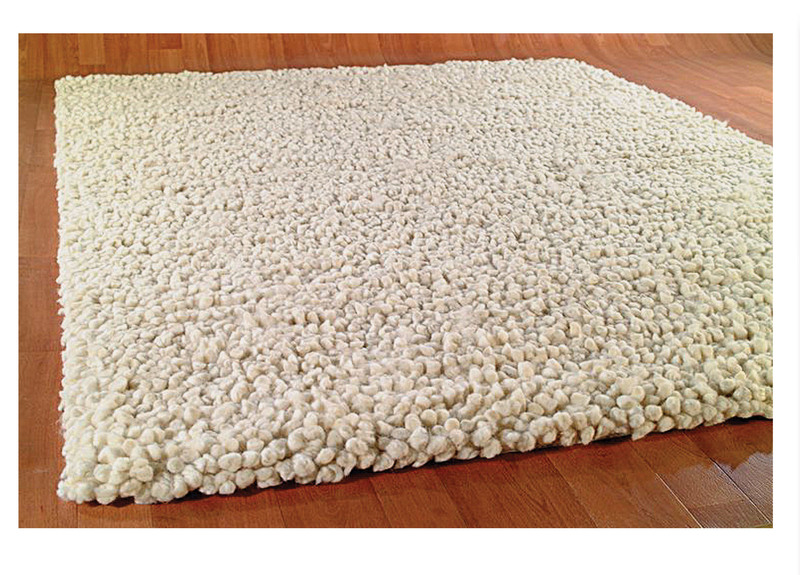 Since the surface is rough, it can literally be akin to getting a pedicure each time you walk on these rugs. The are also not the best for stain resistance. if you happen to spill a glass of red wine on sisal, your best bet is to just put a potted plant over the stain, because it’s just never going to come out! Nylon is a man-made fiber that was created to mimic the properties of silk. It is stain resistant, durable, washable and has good elasticity. 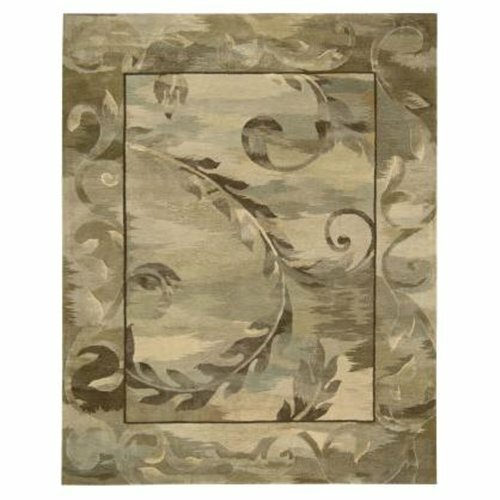 Since this a much more economical choice than silk, more people can afford it, and there are some great area rugs with a variety of colors, patterns and styles to choose from. This is good for high traffic areas and can stand up to a lot of wear. Nylon is also good for wall-to-wall carpet in your home as well as commercial and office spaces. Viscose is another economical choice for an area rug. It feels very soft and still has good strength. It does not have the best elasticity or resiliency, so this is not the choice for busy areas. Since the cost is low, these make good small accent rugs that will last a few years, until you are ready for a change in the room. It’s fun to make a bold statement with these, and to do something fun and fashionable, since you’ll only have it for a short time. Olefin is another good economical choice. It’s very strong, washable, and stain-resistant. It’s also not the best on elasticity or resiliency, so this probably won’t end up being a family heirloom. But, they can be fun, do a great job for a while, and for a couple hundred bucks, won’t do a whole lot of damage to your wallet! 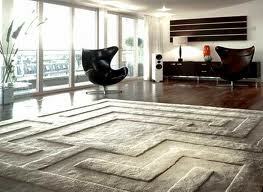 These are only a few ideas for rugs and carpets. 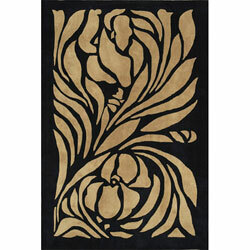 For more information, or if you’re looking for rugs for your home, check out my website!